Two shows, Saturday, December 15, starting at 2 p.m. and at 4:00 p.m. This is the listing for the first show, which lasts about 40 minutes. 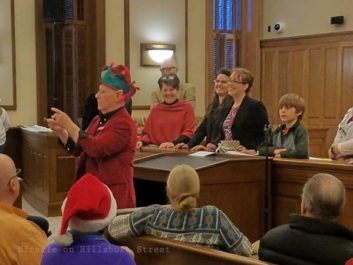 See the trial of the century on Saturday, December 15th at the historic Chatham County Courthouse, where Santa Claus is on trial. 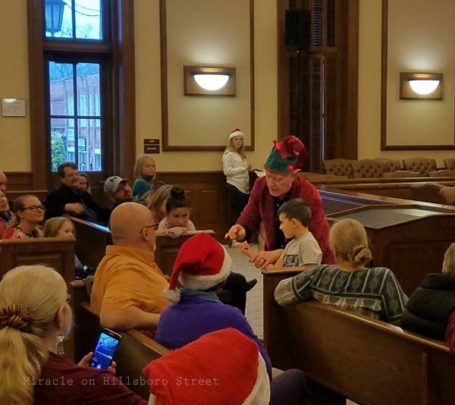 Enjoy audience participation, local actors and the real Kris Kringle! 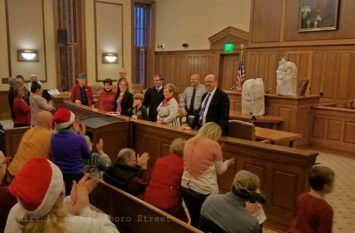 Come root for a Miracle on Hillsboro Street! Performance will be at 2 pm. 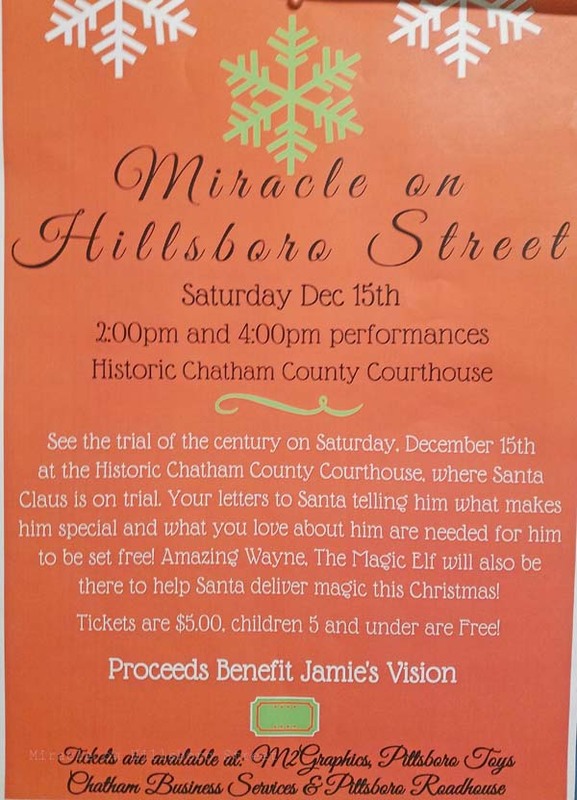 Admission is a $5 donation to benefit Jamie’s Vision, a local non-profit organization whose mission is to satisfy the needs and desires of children in need and their families throughout Chatham County, NC. 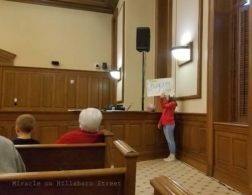 This event is Hosted by the Pittsboro Business Association. 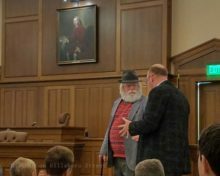 The prosecution introduces the case. 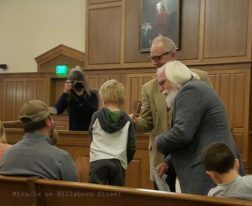 Santa confers with his defense attorney. The defense questions a witness. Santa’s Elf does magic tricks. 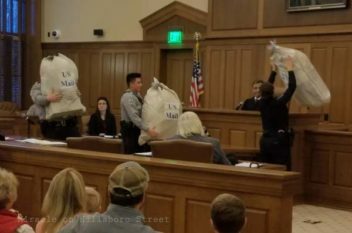 The USPS accepts mail addressed to Santa Claus! 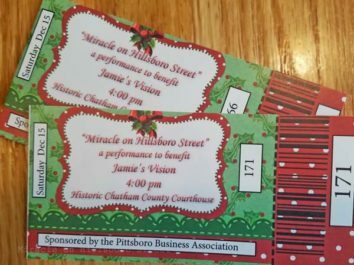 Tickets for the Miracle on Hillsboro Street are available from several Pittsboro merchants. 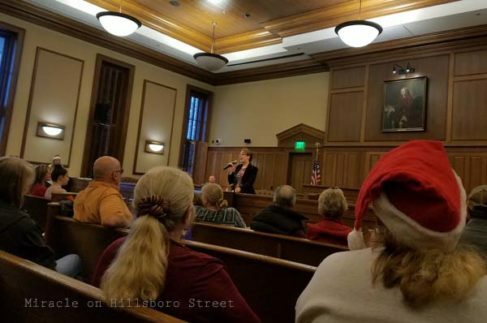 Information about the Miracle on Hillsboro Street shows.